The PV350 Pressure/Vacuum Transducer Module (the module) measures gauge pressure; the difference between atmospheric (barometric) pressure and the pressure (or vacuum) applied to the pressure port on the transducer. It then converts that measurement to 1 mV dc per unit. 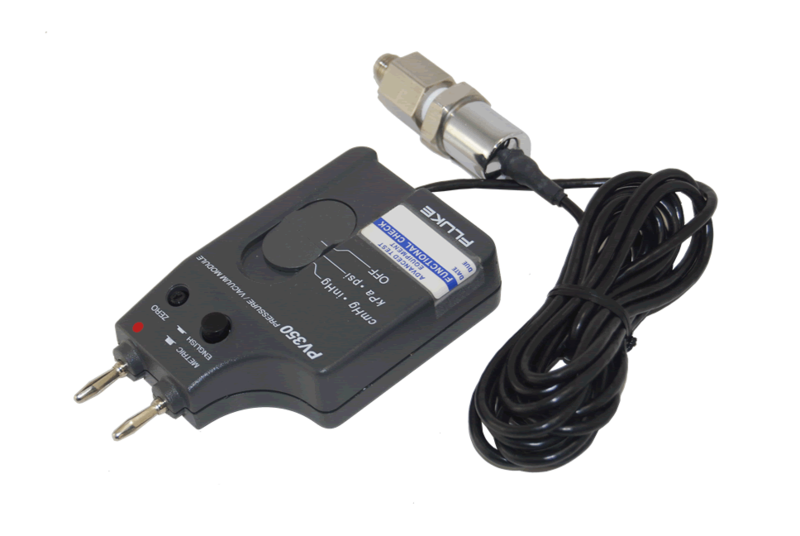 A module and a high-performance digital multimeter (DMM) with min/max function become a datalogger capable of measuring peak high and peak low.